My boss, Chris Lema, decided it would be a fun project for me to set up websites on different eCommerce platforms and then compare them from my perspective. That is an everyday normal end user. I am not a designer, I am not a developer and I don’t have extensive knowledge building sites. I do however, have a general understanding of cPanel and a pretty functional if not basic understanding of how to create websites. And of course he had to give me a deadline, otherwise I would work for a few weeks building eCommerce websites on different platforms just for this post. So, the caveat was each website needed to be created in 2 hours. Or at least see how far I could get with each one in that timeframe. I went straight to Shopify.com and started with a 14-day trial. It immediately sent me through a form builder and there weren’t really any questions I didn’t know and breezed through my decisions. I got to choose from a small number of themes and since I am not a designer the lack of choices didn’t bother me too much. I can see where other customers would want more though. I like the color palette and layout of a site they showed for jewelry sales and chose that for my eCommerce store. 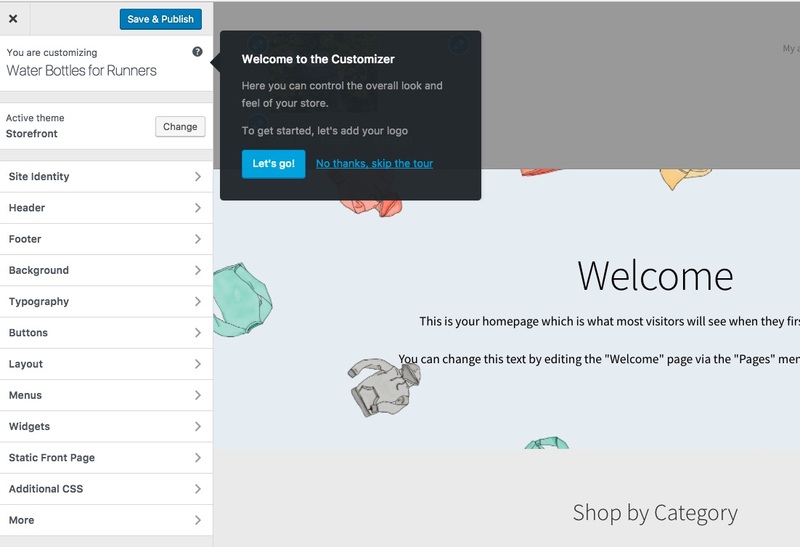 After that I was prompted by a popup getting me ready to add my product and to start customizing my store. Remember, for my experiment I only had 2 hours and I wanted to see how far I could get. I hadn’t thought about what I was going to sell and suddenly felt the lack of a product of my own. So, I grabbed my water bottle for inspiration and created an eCommerce store selling water bottles to runners. I added my first product and then started customizing the website. It was pretty intuitive as I navigated around the page and changed what I wanted to as far as content was concerned. I also liked that I could add my product, the product information (including SKU numbers) and make inventory decisions all from one place. Another problem that I ran into was when I was creating content on the home page. It looked to me like it could have been pictures along with promotional text or pictures linking to a blog. So I did one of them towards a promotion and the other towards the blog. But when I went to add the button and link to the blog it wouldn’t work and I kept getting error messages. As you can see, I was entering “blog” as the error message told me to, but it wouldn’t work. I eventually used the search function and settled on “news.” Not my first choice, but in my timeframe it would work for these purposes. I never could get the link to appear. For my other option on the promotional text the link did work and it went right to the cart like I wanted it too. 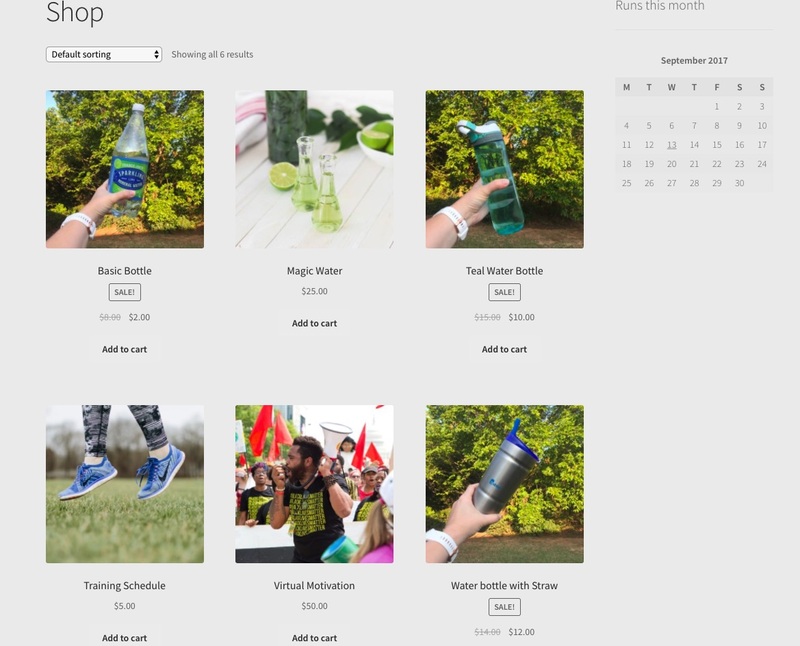 Another nice feature was that my pictures other than my custom product photos of water bottles were free stock photos provided to Shopify from Burst. All in all I was able to build this site in just under 2 hours. 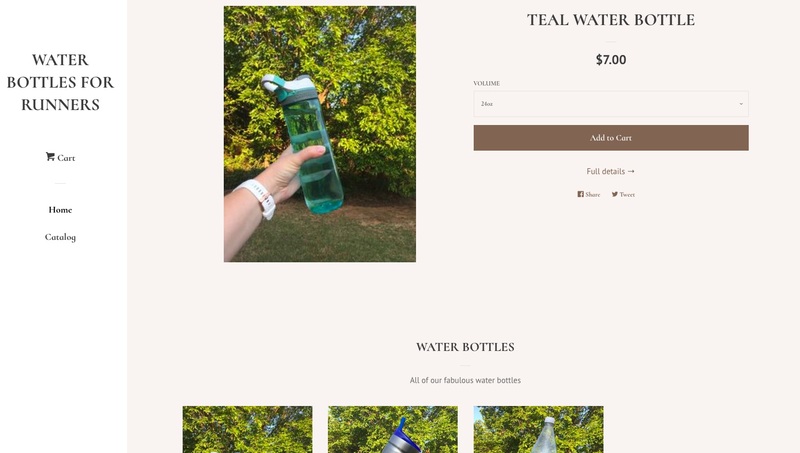 Next, I got to try building my water bottle site on WooCommerce through my Liquid Web Managed WordPress portal. I have to admit, I have never played around with or built any site on WooCommerce before, so trust me when I say both of these were on equal standing. I was surprised that I could just easily upload and activate WooCommerce from the WordPress repository. I expected to download it and then upload it as a plugin, but it was right there. I also downloaded and activated StoreFront which is recommended by Luke Cavanagh on my team. Both were on my site and active in about 3 minutes! As soon as I clicked “customize” it took me to the easiest walk through guide and explained all the decisions I was making. Each of the slides had a ton of options, but each was easy to understand and I quickly was able to create my site exactly to the brand I wanted. If I would have started with a “real” brand and branding colors I could have matched them to my design instantly. At first I thought I was missing the template forms that Shopify offered, but as soon as I started clicking through and designing my site I realized I appreciated this much more. I could change anything to make it look exactly the way I wanted. For those of you familiar with WordPress in general working with WooCommerce is a seamless experience. Creating products was easy and straightforward. The best part was I was able to create my 3 water bottle products so quickly that I had a lot of time to spare on my 2 hour timer. I noticed a feature when creating my first 3 products that piqued my interest. See the product data at the top, with the additional choices of virtual and downloadable? I created a product for each to see how it worked, and I was really amazed. All within this single eCommerce solution I could create a physical, a virtual and a downloadable product with complete ease. Adding photos for each one was easy and I love how they were automatically sized for viewing. As I uploaded each photo I was given the option of creating a category for each type of product and then they were sorted for easy viewing on the site. See the sale prices listed too? That is also just another choice when making my pricing decisions. I could also schedule the sale right from the same page. And again, all of these features are free and a standard part of WooCommerce. One of the biggest problems I have stumbled upon when working with WordPress was when working with the menu bar. 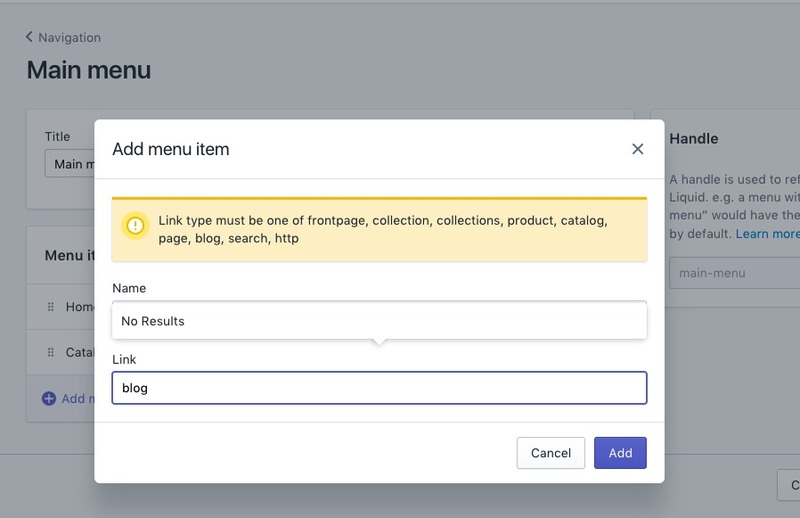 It wasn’t always a straight forward process to add a page and then add that page to the right menu. When building my site today it was so easy! I was able to create and add pages and decide which menu each new page went to and it was intuitive. I am really glad that I tried Shopify before WooCommerce. I wanted to come in with an unbiased opinion and I think I was able to accomplish that by going in the order I did. 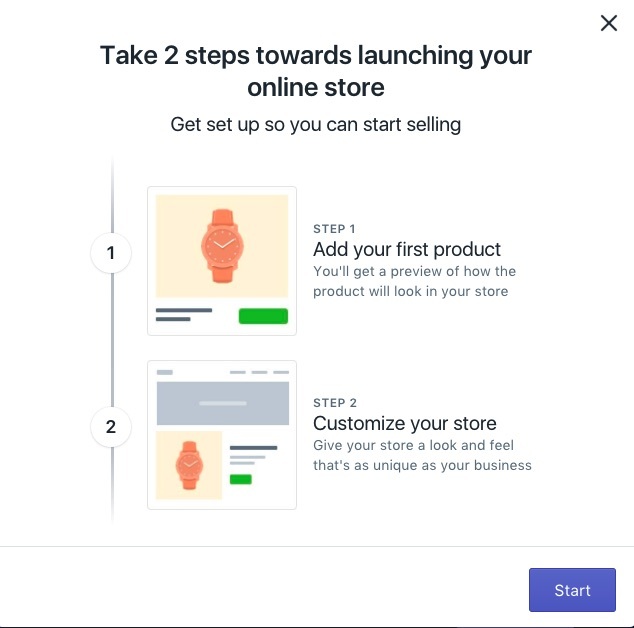 I think Shopify is a great resource especially for someone who doesn’t have an existing site and just wants to have something up and running where they can sell products. Then upgrade to a better solution later. I was able to accomplish a lot in my 2 hour time frame and the templates made it easy for someone looking to sell physical products quickly. Starting at $30/month ($360) and prices going up from there seems steep for this option especially when there are free options available for store owners who are looking for a place to start. WooCommerce to me was a superior choice even for my little project. I was able to accomplish everything I did with Shopify and have time left over to add even more products and customize closer to my branding. I loved how I wasn’t limited to templates and could create my site from the ground up. The options when creating each product was extensive. I can set up all my shipping and inventory directly from the WooCommerce product page details. And most of all I could do all of it for free. Using extensions created specifically for WooCommerce I could potentially create a store on an enterprise level. What shop owner doesn’t one day dream of growing their business? With all of that in mind it makes my official recommendation be to use WooCommerce.